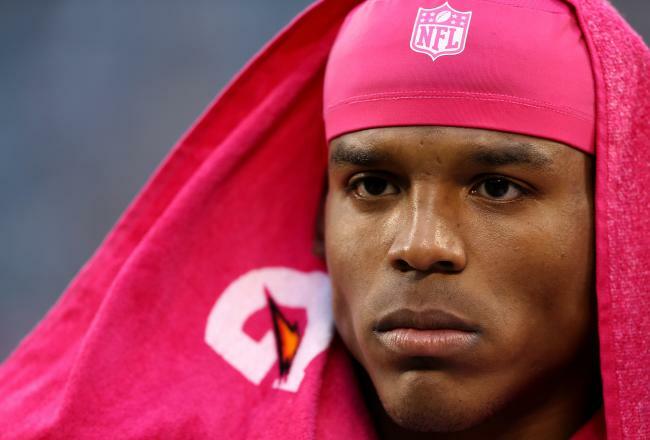 Cam Newton and the Panthers are struggling for answers. Do they find the answers this week against the Redskins? As the cold winter winds begin to roll in, we enter week nine and the second half of the NFL season. Our thoughts are with the millions affected by Hurricane Sandy. After finishing 10-4 last week, I am hoping for another solid week since my week six blowout. Of the four losses, two came down to the last few drives (Seattle & San Diego). It comes as no surprise that the Cleveland Browns upset the San Diego Chargers and the Seattle Seahawks were a few plays away from heading to OT with the Lions. Second guessing is a no no as I changed last minute to the Jets; what a dumb decision that was as the Dolphins took advantage of the Jets at home. My highlight of the week comes from the meathead of all meatheads: Rob Gronkowski. That is my favorite celebration of the year. Gronk, a total meat heat (did I mention that yet), is an absolute riot with his celebration at Wembley Stadium. Anyone else think Gronk and Thad from Blue Mountain State are the same person? I bet this is how practice went at Arizona with Gronk…. Analysis: This may be the worst prime time game of the season. The Chiefs haven’t led in a single game this year and the Chargers are so inconsistent. The Cassel era ended and restarted when Brady Quinn got hurt. I expect the Chargers to get the W today with Norv Turner on the hot seat but expect an ugly game. Key Player: Jamaal Charles. The Chiefs MUST get Charles going to stay in this game. The Chiefs must find a way to get the stud running back carries after only having five against the Raiders last week. Analysis: Andy Dalton and the Bengals passing attack will have a tough time getting things going this week as the Broncos defense is shutting down opposing pass offenses. After shutting down Drew Brees and the Saints last week, the Broncos D looks to slow down AJ Green and company. Peyton Manning looks as good as ever and will continue to put up MVP (yes I said MVP but more like Comeback Player of the Year) numbers. Analysis: The Browns are picking up some steam with a win versus the Chargers. Also, Cleveland is a few drops away from a win against the Colts and a three game winning streak. Trent Richardson had a nice rebound game last week and looks to be recovered from a rib injury that sidelined him earlier in the season. The last time the Ravens & Browns battled, the Ravens won by seven. Although the Browns are gaining steam and won’t lay down, the Ravens will get a rebound W after a bye week and a horrendous loss to the Texans. Players to Watch: Baltimore Ravens defense. This unit must respond if the Ravens want to be Superbowl contenders this season. The return of Terrell Suggs will provide a boost to this defense but will it be enough? Analysis: The Cardinals…stand no chance in this game. The Cardinals are losers of four straight and this game will be a fifth. 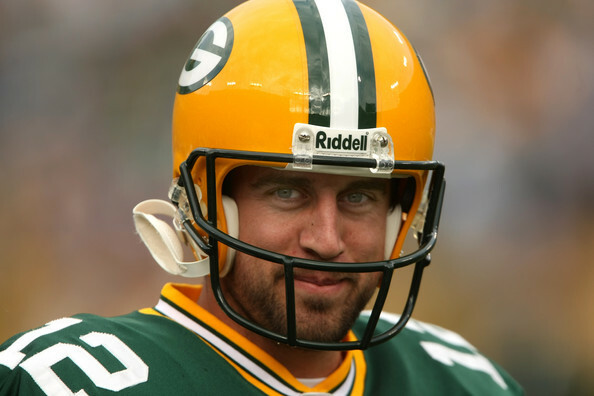 The Packers are not the dominating team we all expected them to be this year but expect a nice victory for them here. Fantasy Dud of the Week: Larry Fitzgerald. Fitz, although one of the most talented players in football, isn’t in a good position this week. Skelton doesn’t seem to get him the ball and the matchup is a rough one. Expect a couple catches for 40 yards (I hope I am wrong though as I need him in fantasy this week!). Fantasy Stud: Packers defense. Expect a multi-sack effort from this unit. The Packers shouldn’t allow more than 14 points, will have 4 sacks, 1 interception and a fumble recovery. Analysis: The Monsters of the Midway are back. The Chicago defense gave up a few points to the Carolina Panthers but came through with a pick six in the end. While the Bears offense is slowly getting things done, the defense is good for a touchdown every week. The Titans are getting things together but will have a tough time against a stellar defense. The Bears front seven will take control of this game. Analysis: The Colts are 3-1 at home and are coming off another late game gem vs the Titans. The Dolphins are gaining momentum on a three game winning streak but I am taking the upset here (two weeks in a row I changed my mind on the Dolphins. Will they make me pay again?). Player to Watch: Ryan Tannehill. It remains to be seen if Tannehill will be ready to go on Sunday as he has been splitting reps with backup Matt Moore. Although I believe Moore gives the Dolphins a better chance to win this week, Tannehill will be the one to keep your eyes on. Due to popular demand, one game a week I will pick a game versus the spread. Analysis: I am high on the Redskins but this may be the one week the Carolina Panthers can put it all together. With close loss after close loss, the Panthers are due for a W. The Panthers played well enough (almost) to get the W versus the Bears but some late game play calling for the Panthers defense resulted in the Bears calling slant after slant until they kicked a game winning field goal. The Redskins finally took a beating at the hands of an angry Steeler team. I expect the secondary to be exposed again and Newton to have a solid game down the field. Analysis: The Jaguars didn’t lay an egg against the Packers as we expected and the Lions made a late game comeback against the Seahawks. Blaine Gabbert had one of his best games of his young career even with nine drops by his receivers. Expect the Lions, owners of the second ranked pass offense, to take full advantage of a weak Jaguar secondary. The emergence of Titus Young and Ryan Broyles should open things up for Megatron. Fantasy Stud: Calvin Johnson. Megatron is poised to break out of his slump and have a solid game against the Jags. Analysis: The Texans are coming off a bye and a shellacking of the Baltimore Ravens. The Texans, if they can stay healthy, look to be one of the favorites in a wide open AFC. The Bills, although competitive, just haven’t been able to get things together this season. Matchup to Watch: Mario Williams vs. ALL. Williams wanted to stay in Houston and wants to show his former team that they made a mistake in letting him walk. Expect Williams to be all over the field and have a solid day chasing the quarterback. Fantasy Stud: Mr. Arian Foster. Foster is having another solid season and will have another multi-touchdown game in this one. Analysis: This should be a fairly close game between the two bay area teams (opposite sides of the country of course). The Buccs will make the cross country trip into the black hole on Sunday and come out on top. Carson Palmer is quietly having a nice season and is finally connecting with his main target Denarius Moore. Freeman is finally putting things together and will have another solid game against a weak secondary. Key Player: Doug Martin. After a monster game last week, Martin needs to get things going again to open up the Buccaneer offense. Analysis: I am high on the Seahawks bandwagon; the team is playing stellar at home. Minnesota has been inconsistent this season and the matchup doesn’t bode well for them. Again, Christian Ponder needs to limit his turnovers for the Vikings to get a W on the road. Key Player: Chris Clemons. Clemons is having a fantastic season and should be able to generate a solid pass rush against a Viking offensive line that has given up a number of sacks in its last couple games. Analysis: This game has the makings to be a very good one as both teams are starting to hit their stride. The Giants must take advantage of a Steeler defense that has been battling injuries all season. The X-Factor of this game isn’t a player but the fact that the Steelers will have to fly into New York the morning of because of a hotel room issue. Although this seems like something small, NFL players are in a routine and who wants to play a football game against a great team on the road after a couple hour flight? Key Matchup: Victor Cruz vs the Steelers secondary. Cruz is a matchup problem for the Steelers as the team likes to deploy four linebackers a majority of the time. When Cruz lines up in the slot, I expect him to make some noise. Fantasy Stud: Mike Wallace & Antonio Brown. Did you see the stat line of the Cowboy wide receivers last week? Granted Romo threw the ball 62 times but the Cowboy receivers (& tight ends) looked as though they were playing Madden on rookie. Analysis: The Falcons keep rolling off victories by any means necessary. The Cowboys, on the other hand, are giving away games and finding ways to lose every week. Key Matchup: The Cowboys corners vs The Falcons receivers. Oh do we have a thriller on our hands! The Falcon wide receivers are loaded with talent but so is the Cowboys secondary, who shut down the Giant receivers last week. Analysis: This game should be a high scoring affair as both teams are having some issues with their defenses. The Saints offense was held in check last week against the Bronco secondary but I don’t expect the same result this week. The Eagles are in must win mode as both Coach Reid & Michael Vick’s jobs are on the line. Key Player: LeSean McCoy. McCoy is going to get things going against the Saints defense; expect multiple touchdowns this week! Keep checking us out each and every week. Newton or Romo? Giants or ‘Skins? Week Seven Predictions! Let me start by saying nothing is worse than typing out everything for the week and losing it all because it didn’t save; this is rough. What is also rough is how terrible I did last week. In the first week I make my picks public I finish a measly 5-9. On the bright side, I was accurate in saying we would have a number of close games, correct on a majority of my analysis and had some nice fantasy picks (and some duds). I also dont feel too bad because only one of the “Top ESPN Analyst” finished above .500 (Chris Mortensen) while the other 11 (13 including accuscore & pick ’em) finished .500 or lower. I am now 52-39 on the season. The NFL is really an Any Given Sunday League and last week proved it. We had a number of games go down to the wire. I’d much rather be incorrect on a majority of my picks if it means I get to watch a ton of super close and interesting games. ATL pulls it out AGAIN! Cowboys miss their opportunity. Lions roar back. Pack put it together. Shall I continue? Did I mention I went 4-0 in my fantasy leagues last week though? For Week 7, I am proud to admit I have started off on a good note. See the tweet below. The Seahawks are a tough team, especially at home, but they just couldn’t get it going to beat the Niners at Candlestick. Analysis: Cleveland might squeak out two in a row but I think Luck is on the Colts side (get it?). Analysis: Are the Packers for real? The Rams defensive front has the ability to get to Aaron Rodgers and they better if they have any shot at winning this game. I still love Janoris Jenkins but how many people can he cover? Analysis: I am still high on this Buffalo team. If they can get Jackson and Spiller going, Tennessee might be in for a tough game. Key Players: Chris Johnson. He looked better against the Steelers but he still isn’t hitting the holes and getting upfield! Analysis: Christian Ponder and the Vikings need to put it together this week. This team is only going to go as far as Christian Ponder will take them. Cardinals quarterback carousel continues as Skelton gets the start. The Cards need more than Larry Fitzgerald on offense; the man can’t carry the team himself. Key Players: Percy Harvin. The X- Factor must continue to dominate whenever he is on the field. Fantasy Pick: Adrian Peterson. He will find the end zone this week. Analysis: This is going to be one of those division rivalry games that the fans love. Eli is slinging the rock very well right now. Both teams are coming off games where they dismantled their opponents but can RGIII keep it up? The man looks as though he is going to a MVP in this league (if he stays healthy). Analysis: Josh Freeman is starting to pick things up and could have a nice game against the terrible Saints defense but I see the Saints pulling this one out. They are too talented on offense to be losing games like they are. This one has the makings to be a complete blowout or a close one. With the way the Saints have been playing, I am going to take the later. Key Players: Jimmy Graham. The Tight End must get it going and stay healthy to keep this offense rolling. Fantasy Pick: Drew Brees. He is carrying two of my fantasy teams. He will continue his fantasy destruction. Analysis: The success and failures of these two teams really falls on both quarterbacks. Tony Romo, whom I am not a fan of, can look so good at times but then he makes bonehead plays. As for Cam Newton, maybe his confidence was too high? (He definitely looks more like Clark Kent than Superman this year). Cam needs his running game to get going agains the Cowboys D.
Key Players: Romo & Newton. Fantasy Pick: Dez Bryant. Bryant has 28 targets in his last two games; look for him to get things going again. Analysis: The Texans took a beating last week while the Ravens escaped another close one. Unfortunately the Ravens lost one of the best players that has ever graced a NFL field in Ray Lewis. Additionally, Lardarius Webb tore an ACL. As a result, the Texans will run all over the Ravens this week. Key Players: The Ravens Defense. They can’t allow an abundance of rushing yards like they have this year. Fantasy Pick: Arian Foster & Ben Tate. Both are going to get it going this week. Key Players: Darren McFadden. The guy has top three running back talent but he just doesn’t perform. He is just too good and too talented to not kill it week in and week out. Fantasy Pick: Denarius Moore. The guy is just so talented and Palmer is finally to look his way a little more. Analysis: New England looks as though they could be in panic mode. This is a must win for this team and they have had the Jets number year in and year out. The Jets looked impressive versus a weak Indy team but they are so inconsistent. Don’t be surprised if Jets O-Coordinator Tony Sparano pulls some crazy stuff out of the playbook this week versus the Patriots (remember when he installed the Wildcat vs the Pats?). Key Players: Mark Sanchez. How much longer will he stay a starting quarterback? Tim Tebow isn’t the answer but Sanchez needs to prove his worth. Analysis: This Steeler team is injury ridden and can’t hold a lead to save their lives. The Steelers are without Troy again this week but will, hopefully, have Woodley and Harrison at full strength. The Bengals are coming off a rough loss to the Browns but expect them to throw the ball at will against a weak Steelers secondary. I think this game comes down to the wire. Key Players: The Steelers Defense. Again, this unit needs to get it together or the Steelers will end up in the bottom half of the AFC North. Fantasy Pick: AJ GREEN!. Calvin Johnson 2.0 is slowly becoming one of the most dominant wide receivers in the NFL. I believe he is going to torch the Steelers defense this week. Analysis: The Lions came through when it mattered last week but they’ll have to play much better on offense to have any chance in this game. The Bears defense is looking absolutely stellar right now. IF they can (or attempt to) contain Calvin Johnson, the Bears will shut down the Lions offensive attack. Cutler must continue to make the correct reads and stop forcing balls. Fantasy Pick: Matt Forte. If the running back is healthy, I expect a big game out of him. He should get a number of touches on both the ground and in the air. I expect a much better week this week than last. Let the games begin!